Sean Szymkowski December 4, 2017 Comment Now! 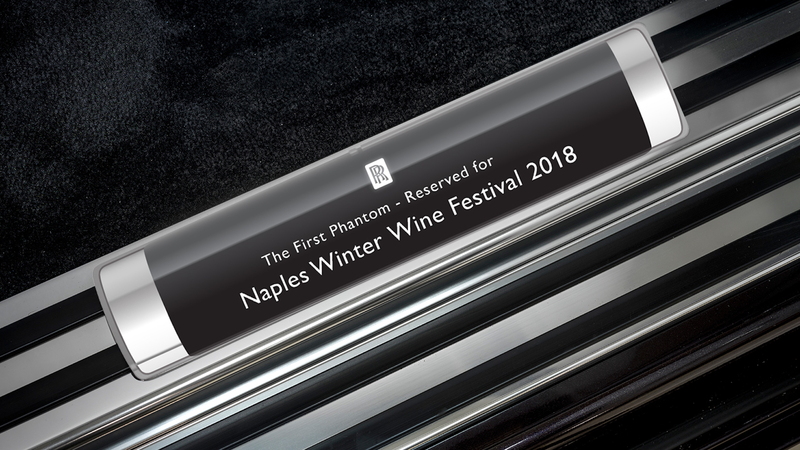 As many brands often do with a particular car wearing VIN 001, Rolls-Royce announced on Monday it will auction off the first production Phantom for charity at the 2018 Naples Winter Wine Festival on January 27. The three-day event founded by the Naples Children & Education Foundation will take place in Naples, Florida, and all proceeds from the 2018 Phantom's sale price will benefit the foundation itself. As if the Phantom isn't enough, the winning bidder will get the opportunity to participate as a judge in the 2019 ROBB Report Car of the Year event and receive a collection of fine wines from Alpha Omega, a Napa Valley winery. 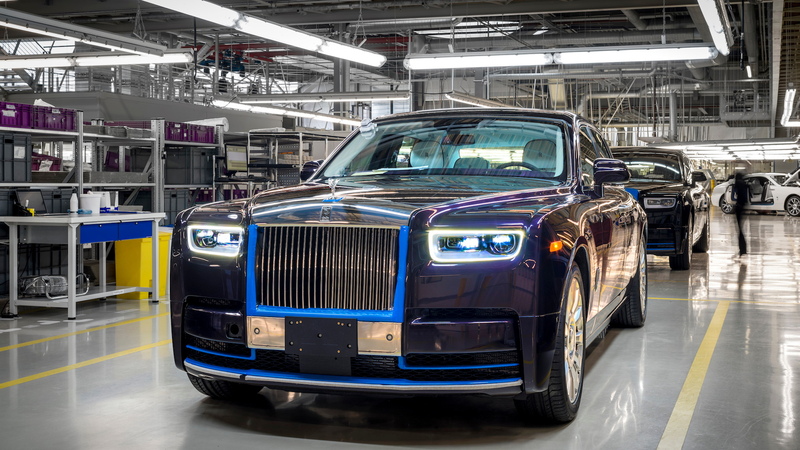 The standard wheelbase 2018 Phantom heading to auction wears a Belladonna Purple exterior hue and an Arctic White and Tailored Purple interior theme. The brand will also build the car on an extended wheelbase. Underneath the striking design is an aluminum spaceframe dubbed "Architecture of Luxury," which will soon underpin every new Rolls-Royce. It also has a self-leveling air suspension and rear-wheel steering. Under the commanding hood sits a new twin-turbocharged 6.75-liter V-12 to replace the old car's naturally aspirated V-12. 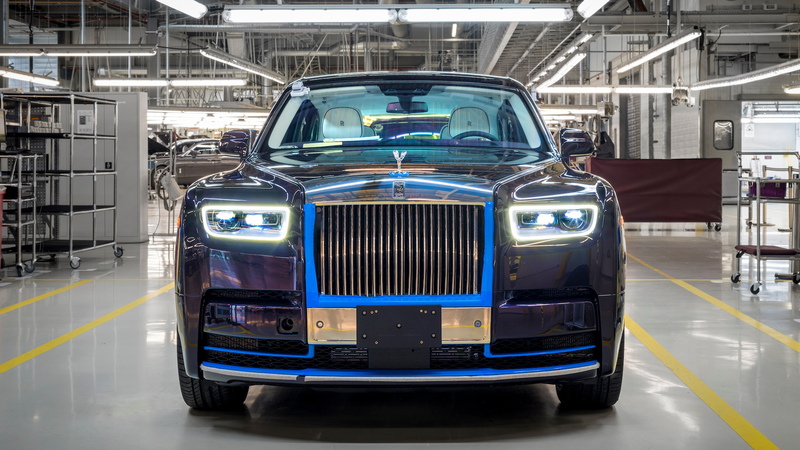 Despite whopping numbers of 563 horsepower and 664 pound-feet of torque, the Phantom promises incredibly hushed operation thanks to such lengths as 286 pounds of sound insulation and "silent seal" tires with a foam layer inside. The previous Phantom's starting price eclipsed $420,000, which likely means the Naples Children & Education Foundation will be receiving a very large sum of money when the hammer comes down on the very first 2018 Phantom.